Without a doubt, Givenchy IS one of my FAVORITE brands. The way their products apply, look, and perform is absolutely marvelous; giving you a flawless, eye-catching look...MAGICAL ! Not to mention the astutely opulent packaging...LOVE! The Le Prismissime Euphoric Pink Lip & Cheek Palette was part of Givenchy's Over Rose Spring 2014 Collection. Since purchasing the Euphoric Pink palette in January, it has been a prominent piece in the majority of my looks. 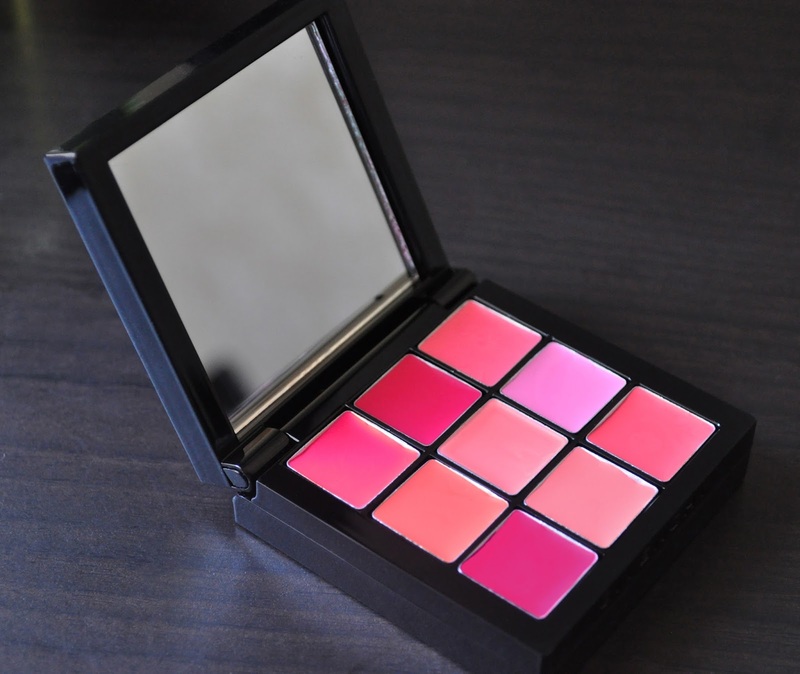 The Le Prismissime Euphoric Pink Lip & Cheek Palette has a magnetized bottom drawer that comes with 3 applicators, two lip brushes, and a "fluffier" brush that is meant to apply the product on the cheeks. For humor's sake, I tried applying the product with the wee-sizedfluffy brush, and found it tedious and unsuccessful. However, the Lip brushes are firm, yet flexible enough to offer precise application; great for on-the-go touch-ups. The palette come with a good sized mirror that opens at a 180 degrees; It may be a quirky trait of mine, but I love it when palettes do that. 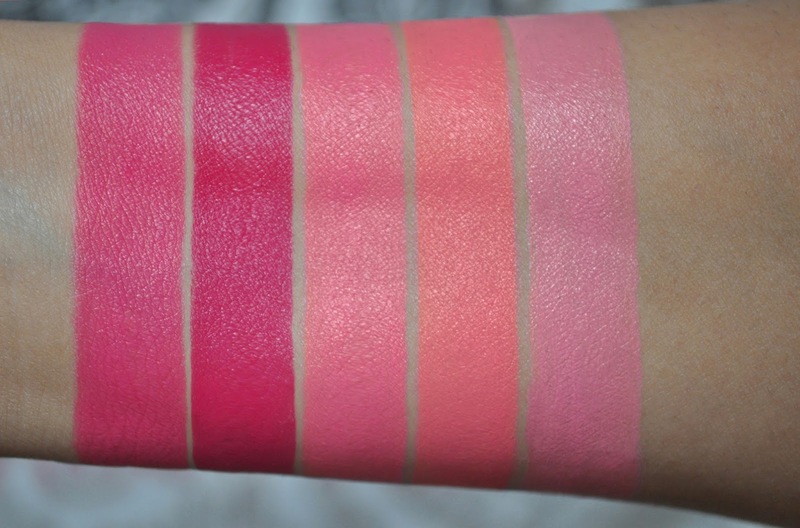 Euphoric Pink comes with nine shades that can be used on the lips and/or cheeks. All nine shades are pigmented, creamy, and have a semi-matte finish. Whether worn individually or mixed, each shade works beautifully on both the lips and cheeks. there was an overcast (and still is) when I photographed these swatches, so I'm not satisfied with them. The shades are MUCH more vibrant and gorgeous in person. Naively, I thought I could fit all six swatches on one arm; with the way I swatch, what was I thinking?! The first three swatches are the first row and the last two are from the second. 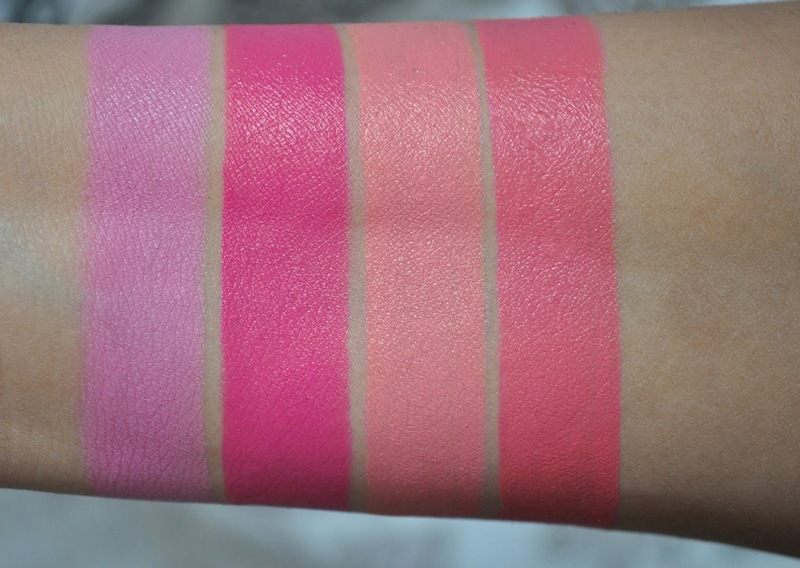 The first swatch is the right corner shade of the second row, and the last three is the third row. 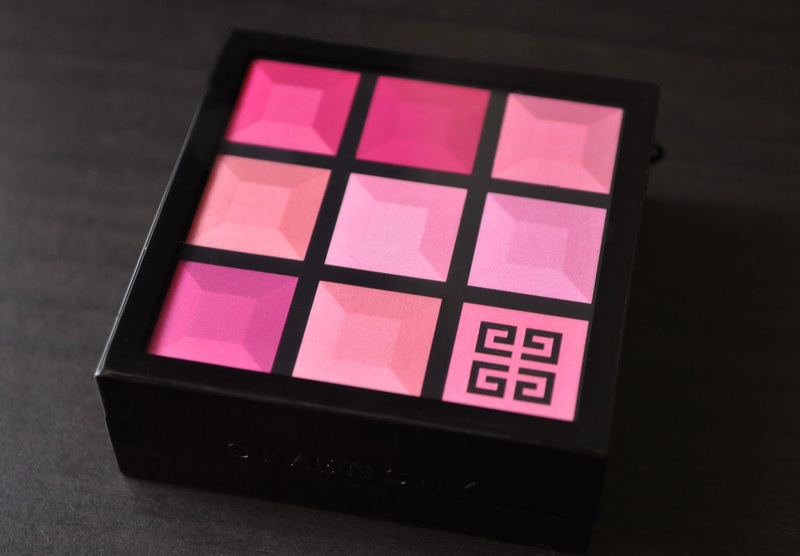 Givenchy's Le Prismissime Euphoric Pink Lip & Cheek Palette is excellent for Spring and Summer... heck, even all year round; It's the quintessential lip and cheek palette, with endless customized color possibilities! OMG...the colors are sooo beautiful! I would totally use some of the medium/deeper pinks but I'm not a fan of this form of lip product, I find it a bit of a hassle to apply! All the colors are deeper and vibrant (especially the darker pinks) in person. Actually, application isn't a hassle at all. Regardless if you apply with a brush or fingers, the result is beautiful. This much pink just makes me happy. The swatches are beautiful! This is such a beautiful looking product!!! 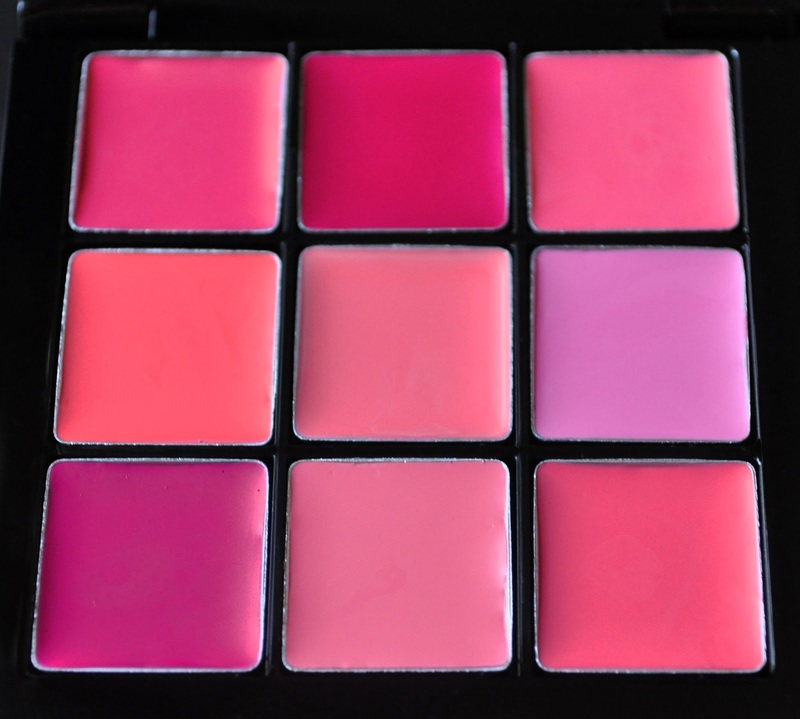 All those pinks in one palette makes it such pretty eye candy. Is the formula the same as the Le Rouge lipsticks? Since it's also meant to work on the cheeks, the formula is slightly drier. 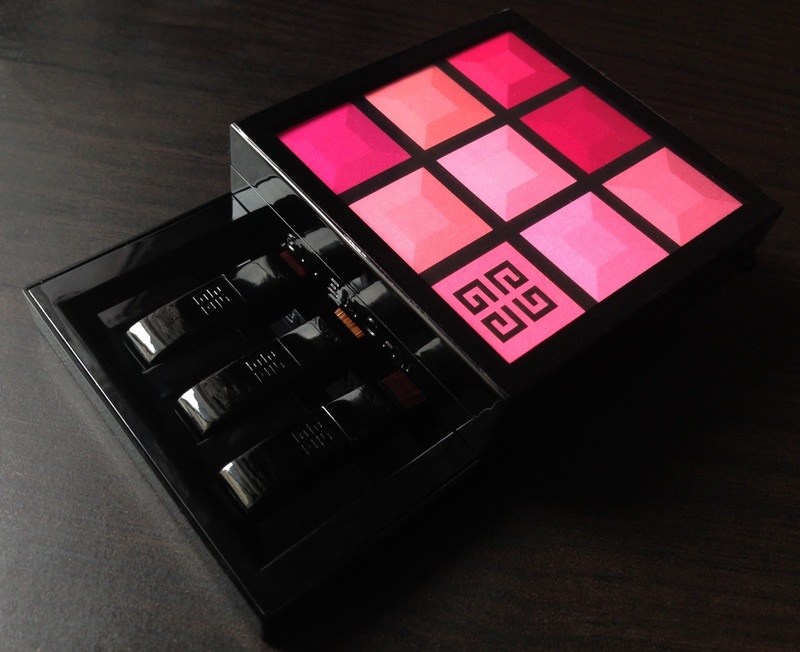 If you can find this pink Rubik's cube of beauty, get it! Hi Liz, you make the best swatches, seriously! That palette is so incredibly pretty, and so many options! But frankly, I can't figure out how to wear it on the cheeks... do you pat them on with a finger and work from there? The squares are too tiny to dib a cheek brush in right? I get all elementary on this palette and use my fingers :) I get product on the tips of my middle and ring fingers, and in a circular motion, I lightly skim the surface of my cheeks.